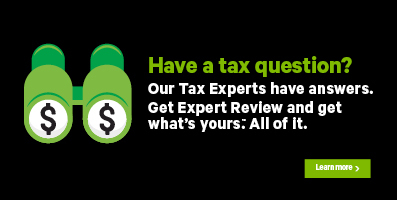 At H&R Block, we’ve designed all our products with you, our user, in mind. So even if you’ve spent the last few years filing with one of the other guys, we’re confident that once you start using our software, you’ll never look back. Check out our library of guides and videos to see just how easy it is to file with us! You can easily navigate through your return using the GET STARTED, QUICK ENTRY, PREPARE, WRAP-UP, or FILE tabs (1) or, if you’d rather let the software figure out where to go, you can simply use the Continue or Back buttons as you work through your return (2). We know that when doing your taxes, you just want to get on with it. So, while the other guys tend to ask you a lot of questions along the way, we’ve taken a more integrated approach by combining our cool Quick Slip Entry feature with a short interview process to catch anything else you might want to add. Quick Slip Entry: on this page, you can enter all the slips that you received from your employer, your bank, the government, or another organization, and your RRSP and PRPP contributions. In the search field, type the name of the slip you want to enter. When the slip you’re looking for becomes highlighted, hit Enter on your keyboard. Enter the information from your slip into the tax software. Armed with the knowledge that all your information slips have been entered, it’s time to move on to the PREPARE section of your return to claim your credits and deductions, like your charitable donations, your moving or medical expenses, or your student amounts. Tell us about your year on the IN THIS SECTION page. Every selection you add will show you more options in the related page. For example, if you select that you had ‘Employment expenses’, you will see the EMPLOYMENT icon appear in the top navigation. Knowing when to claim certain credits, carry them forward for use in another year, or transfer them to your spouse or common-law partner can be tricky. For this reason, we’ve simplified the optimization and credit transfer process on the WRAP-UP tab of your return. When preparing your return at the same time as your spouse’s, H&R Block’s tax software will automatically apply your credits and deductions in a way that gets you the best possible outcome. Even so, you still have the option to select which person will claim certain amounts such as the working income tax benefit or the tuition amounts being transferred by one of your dependants.